The new Porsche 911 GT2 RS Clubsport will celebrate its world premiere at the Los Angeles Auto Show today. 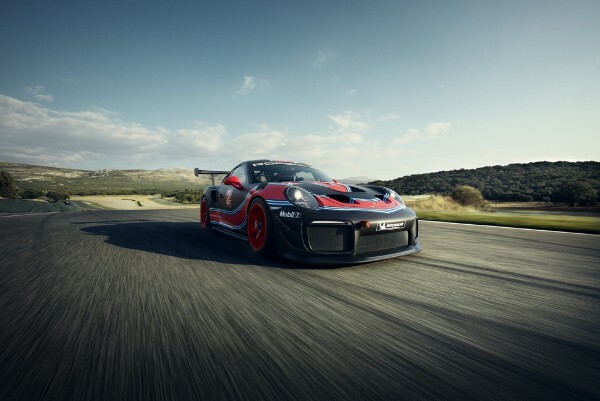 The 700 hp racing version of the street-legal 911 GT2 RS sports car is limited to 200 units globally, and will be eligible to run at clubsport events, Porsche Club of America (PCA) track days as well as selected motorsport meets. “For the upcoming years, our customers will not only race the GT2 RS Clubsport during open track days but also at international motor racing events. We are currently holding very productive talks with the race organizer SRO,” says Dr Frank-Steffen Walliser, Vice President Motorsport and GT Cars. The carbon fiber steering wheel and the colour display behind it have been taken from the 2019 Porsche 911 GT3 R model. A built-in safety cage combined with a racing bucket seat and a six-point safety harness ensure maximum safety. Air conditioning provides optimal interior cooling..